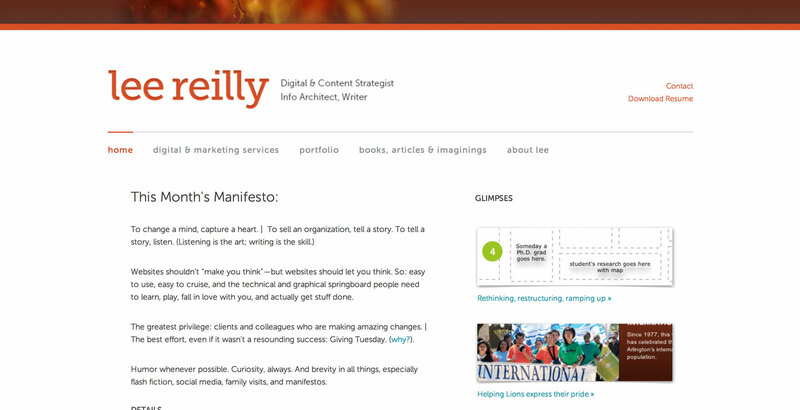 Content strategist and writer Lee Reilly needed a new site to showcase her work and abilities. 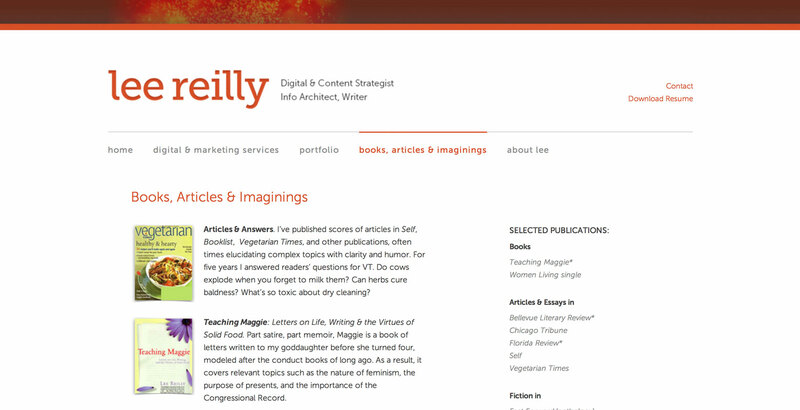 I created a modern and minimal design, and used the Perch CMS to make it easy for her to maintain. Logo design by my good friend Sandra Mars. Creative, knowledgeable, organized, and skilled, Megan is a great partner in crime. 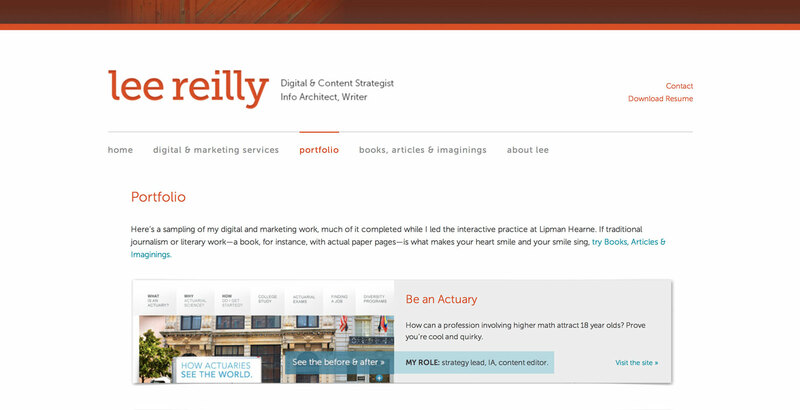 She brings a rare combination of strong project management, technical savvy, and visually adept design. She is also extremely responsive and inexhaustibly patient, answering multiple questions (even when they’re a wee bit repetitive).